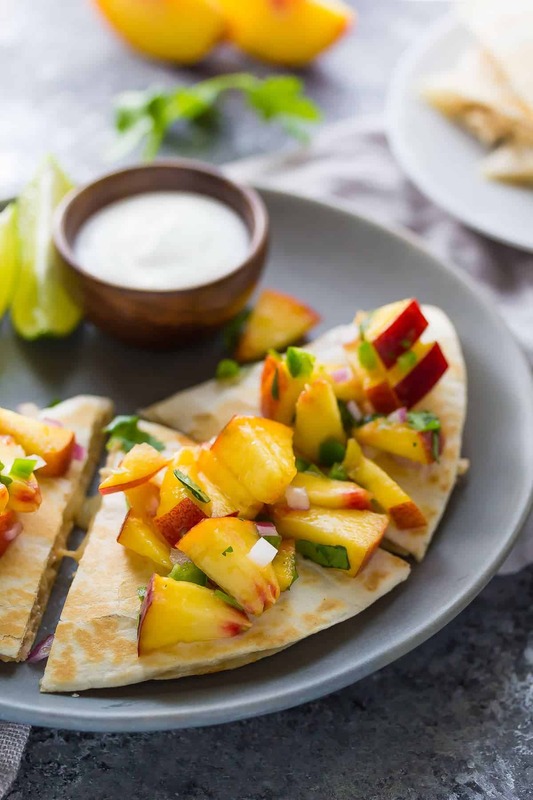 These sweet chili chicken quesadillas have a DELICIOUS peach salsa and are ready in under 20 minutes! 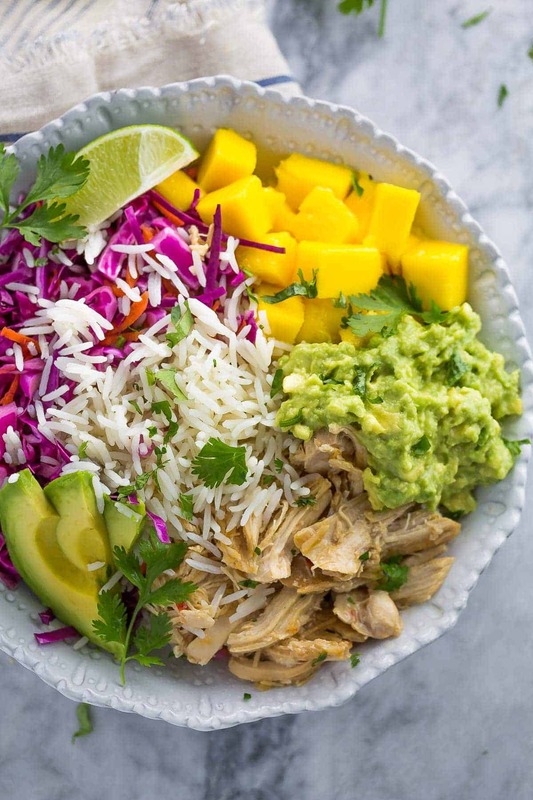 Leftovers make for a great lunch the next day. Note: this recipe is part of a series where I share a base slow cooker recipe, then three ways to use it. 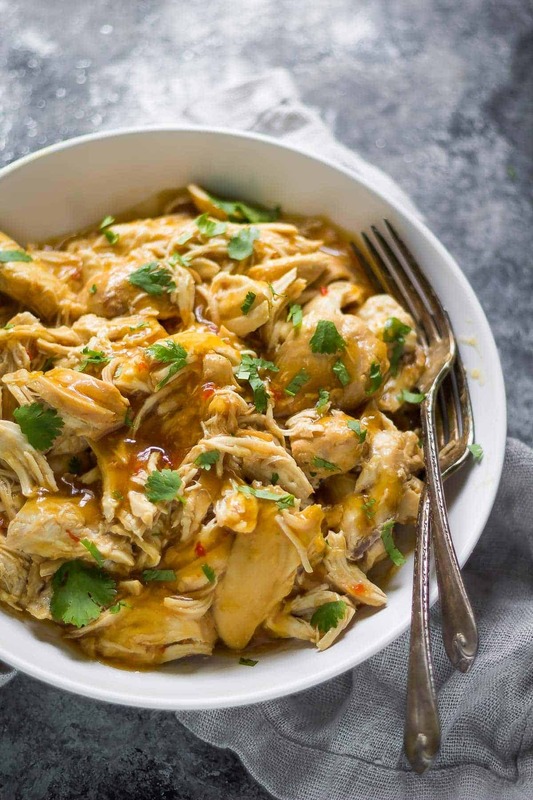 Here’s the base slow cooker sweet chili chicken recipe! Here we are…day two of the 3-in-1 slow cooker series. Yesterday I shared the super duper easy slow cooker sweet chili chicken recipe, and today I’m sharing these delicious sweet chili chicken quesadillas with you. Just like the base recipe, these guys are super easy, and SUPER tasty! I had to take advantage of peach season and make some peach salsa to top these guys off. I sure do love me some fruit salsa, how about you? I’ve made cherry salsa, apple salsa, strawberry salsa, kiwi salsa and mango salsa (multiple times!) 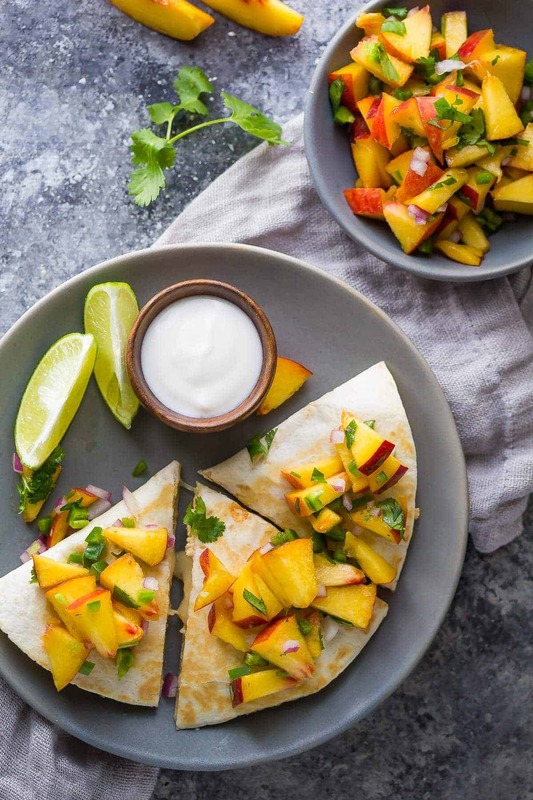 So it was about time for a summery peach salsa. And I’m kind of sad I waited this long to make it, because peach salsa might just be my favorite yet! I didn’t want to mess around with cooking up any extra fillings for these quesadillas (I had considered some bell peppers and red onions and if you’d like to add some, I’d give them a quick sautee for 10 or so minutes). For these quesadillas I went super simple and just combined the slow cooker sweet chili chicken with some mozzarella cheese. This is honestly my favorite time of year. I love all the fresh fruit in the store, and it’s not just cheaper but has SO much more flavor! 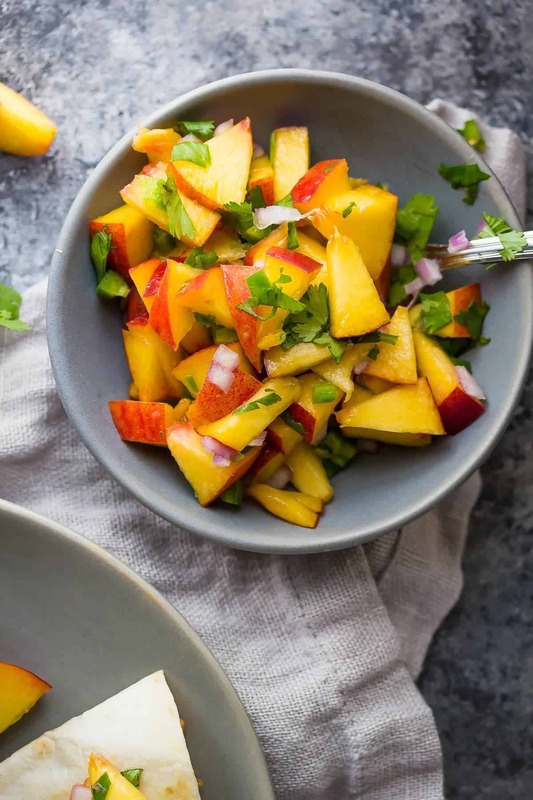 Make sure you get the sweetest peaches you can for this peach salsa, and adjust the jalapñeos to taste. My jalapeños were definitely mild so I wouldn’t call this spicy. Up the jalapeños by all means or keep the seeds and membrane for a spicy salsa! So. 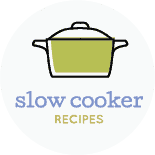 Day two of our 3-in-1 slow cooker series and I am pretty pleased. I can’t wait to share the third recipe with you (tomorrow)! Check out the rest of the recipes in this series! Stir together all peach salsa ingredients and set aside. Heat a large non-stick pan over medium heat. Spray with spray oil. 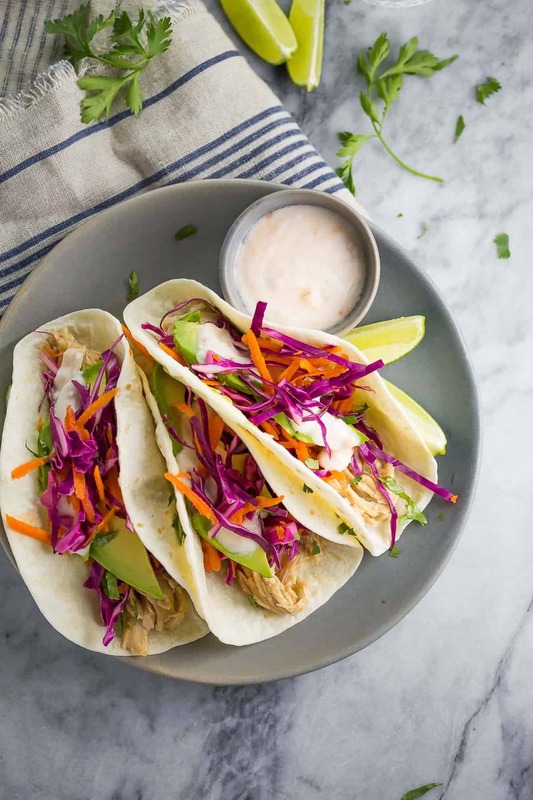 Working in batches of two tortillas at a time, assemble the quesadillas by topping ½ cup of slow cooker sweet chili chicken with ⅓ cup shredded mozzarella cheese. Press the opposite side of the tortilla down firmly and cook for 2-3 minutes per side, until golden brown. Serve immediately topped with peach salsa and Greek yogurt. Leftover quesadillas keep well. 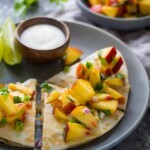 Peach salsa can be made up to 4 hours ahead. I’d love to make this recipe for meal prep, but I am cooking for just myself and this has 4 servings. Would the peach salsa hold up well enough in the fridge for 3 or 4 days? Hi Janie, here’s the link to the chicken recipe. There is a also a clickable link right in the recipe card, as well as a link above the recipe card with a photo. There are 4 ingredients that go into the crock pot, then you thicken the sauce after with some cornstarch. I hope you like it! Oh my goodness Denise, these look heavenly. I could just eat that peach salsa by the spoonful!! I could eat quesadillas almost every day, as I just love the endless combination! This version looks incredible, Denise! I absolutely love that peach salsa. What a great summer meal! Thanks, Gayle! I am officially hooked on peach salsa! 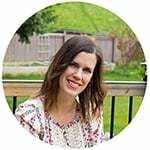 Your 3-in-1 slow cooker series are so fun, Denise! And SO convenient!! Loving these quesadillas! 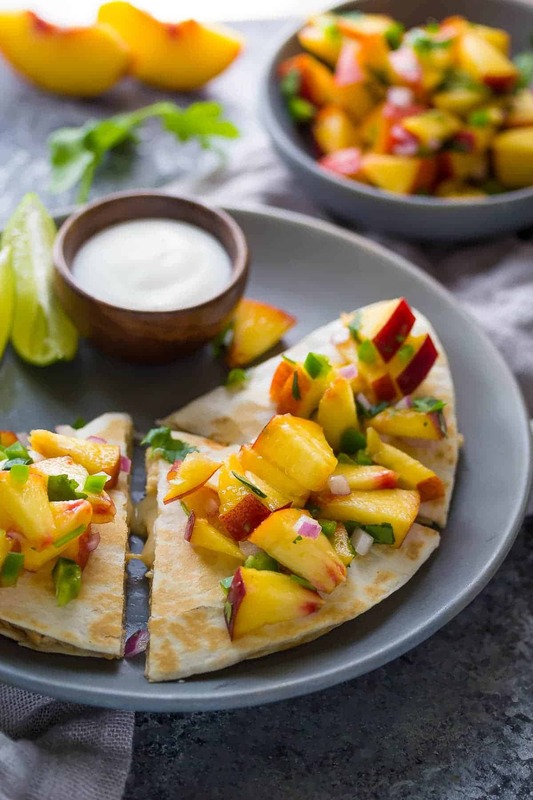 I’ve never met a ‘dilla I didn’t like, but tender sweet chili chicken stuffed into a warm tortillas and topped with fresh peach salsa?! Yeah, I need that! Cheers, girlfriend!